Double Chocolate Chip Cookies with White Chocolate Chips are an easy homemade dessert. The cookies are perfect for any holiday or afternoon snack. There are a lot of white chocolate chip recipes out there. Around here, we love Subway’s cookies. 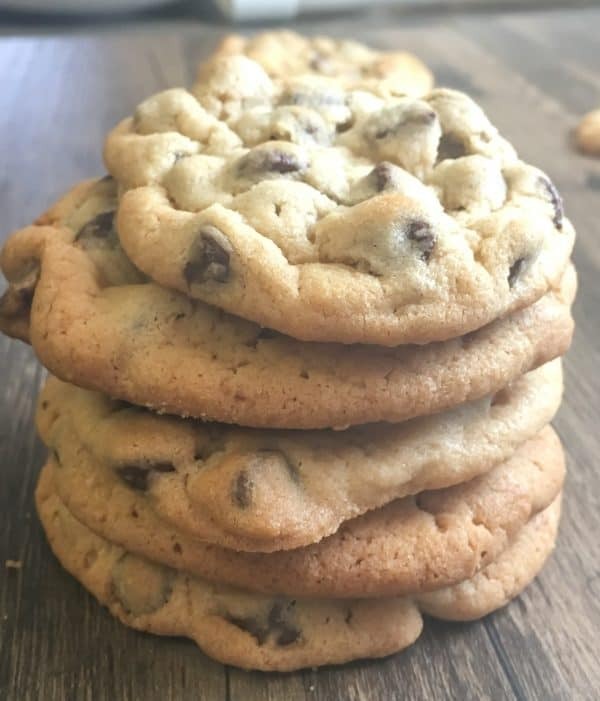 These double chocolate chip cookies with white chocolate chips are similar to Subway’s double chocolate chip cookies, but still have a flavor of their own. My oldest is in basketball camp this week, and he came home last night worn out and wanted some cookies. Of course, pretty much any excuse is good enough for me to make cookies. 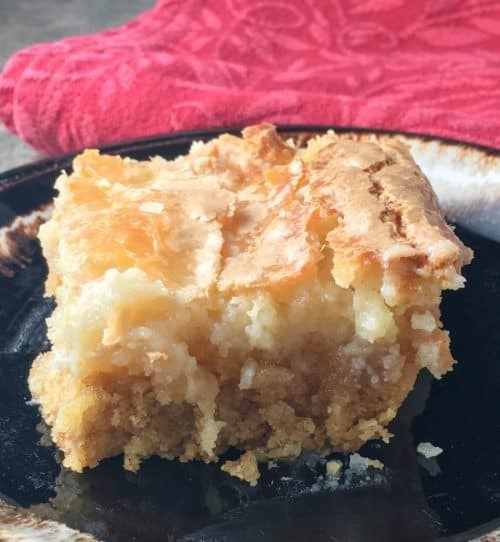 This is an easy recipe, as well. You can whip these up in just a few minutes. Easy is good. 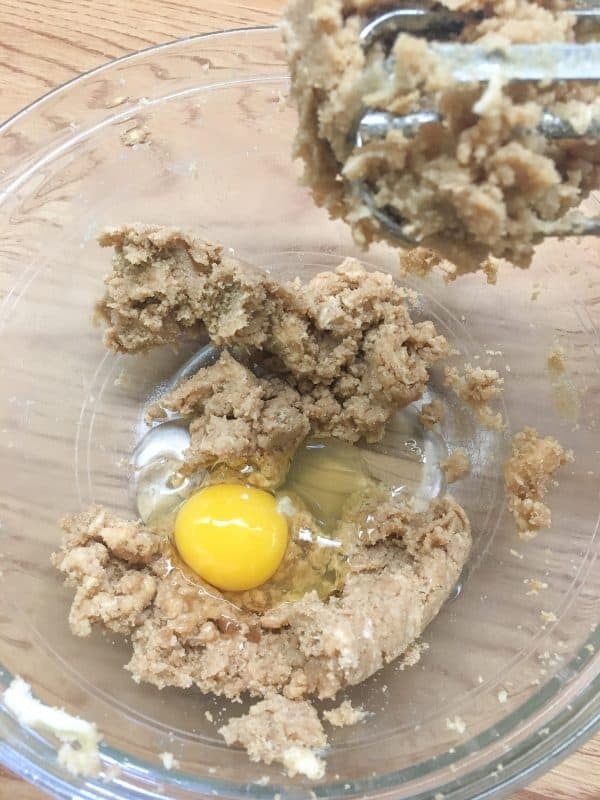 Mix the butter, brown sugar, eggs, and vanilla in a medium-sized bowl. 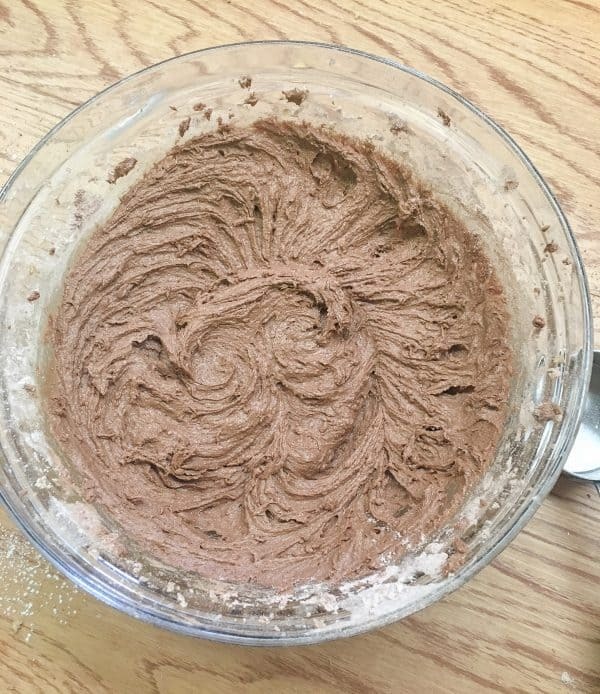 Add the flour, cocoa powder, baking soda, and salt to another bowl and mix. Add to dry ingredients to the wet ingredients and mix. 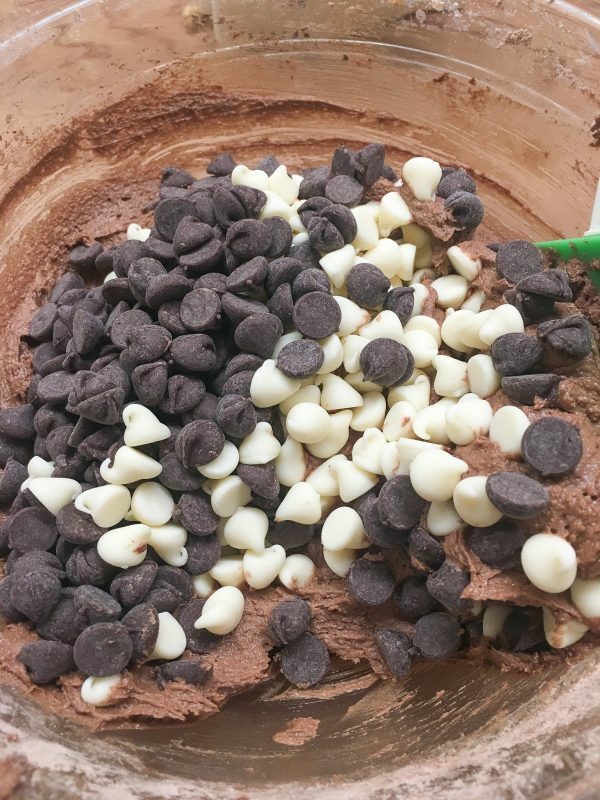 Add the white and semi-sweet chocolate chips and mix. Add the softened butter to a medium-sized bowl. If you’re like me and you forgot to set the butter out, or you decide to make the cookies on a whim, that’s ok. 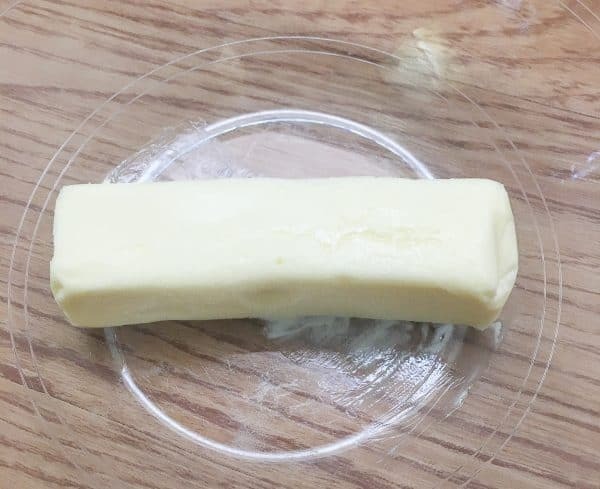 I put the butter in the bowl and microwaved it for about 15 seconds. You don’t want to microwave it to the point of melting. Just to the point of getting a little bit soft. 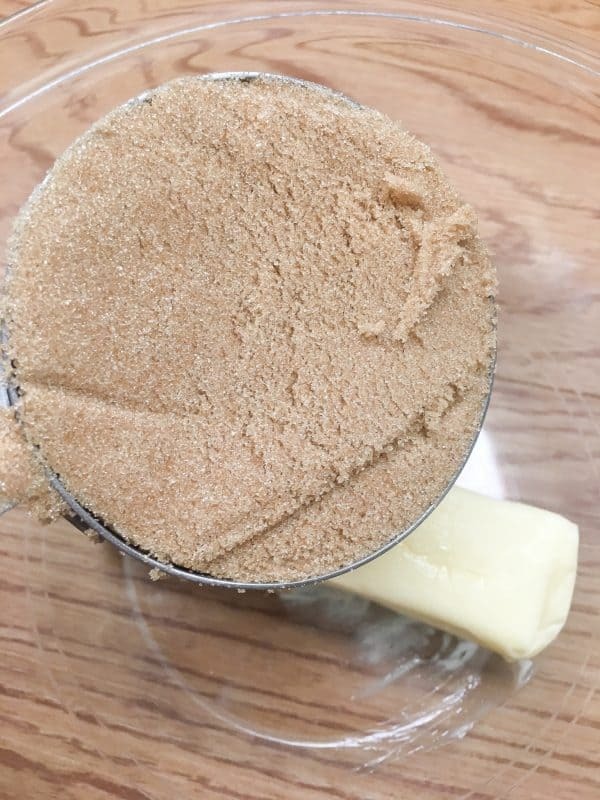 Add the brown sugar to the butter and mix both together. We had a conversation not too long ago, here at the house, about whether or not brown sugar is better for you than white sugar. In my post, What Makes A Cookie Chewy?, I shared that brown sugar is simply white sugar with added sugarcane molasses. So, it’s not nutritionally better, it just has a little bit of a deeper flavor. Brown sugar is an ingredient that will help keep cookies chewy because molasses attracts moisture. And, who doesn’t love a chewy cookie? 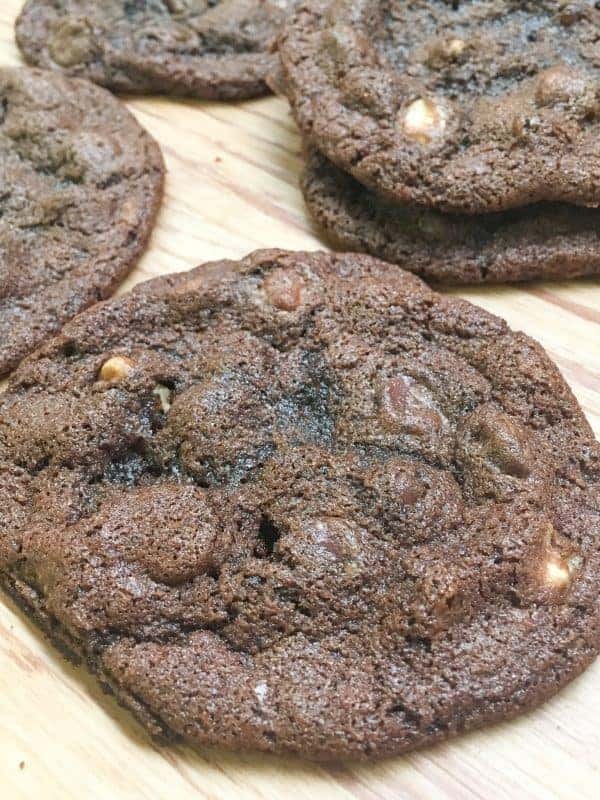 Looking for another easy double chocolate chip cookie recipe? Click here. Add the egg and mix. Egg yolks are another ingredient that adds moisture to cookies. So, how do eggs act in baking? The yolks help add fat to the cookie and the whites help strengthen it. In essence, eggs are helping hold the cookie together. 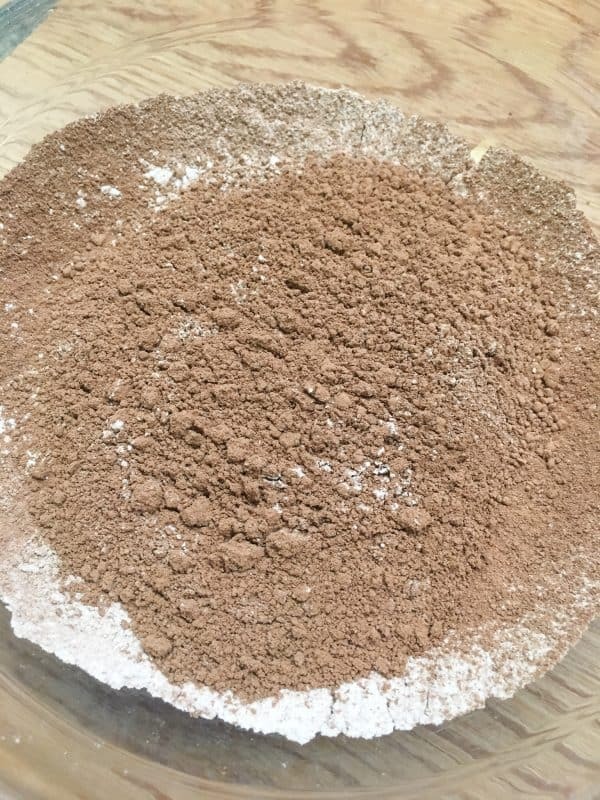 Sift the flour, cocoa, baking soda, and salt in another bowl. Once you’ve sifted the dry ingredients, add them to the wet ingredients. Mix everything together. Mmm…are you getting excited about the double chocolate chip cookies with white chocolate chips? I am! Add the white and chocolate chips and mix them into the batter. You know this is the best part. It’s all happiness from here on out. You can use one or the other if you’re not a big fan of semi-sweet or white chocolate chips. But, the combination of the two is divine. Trust me. 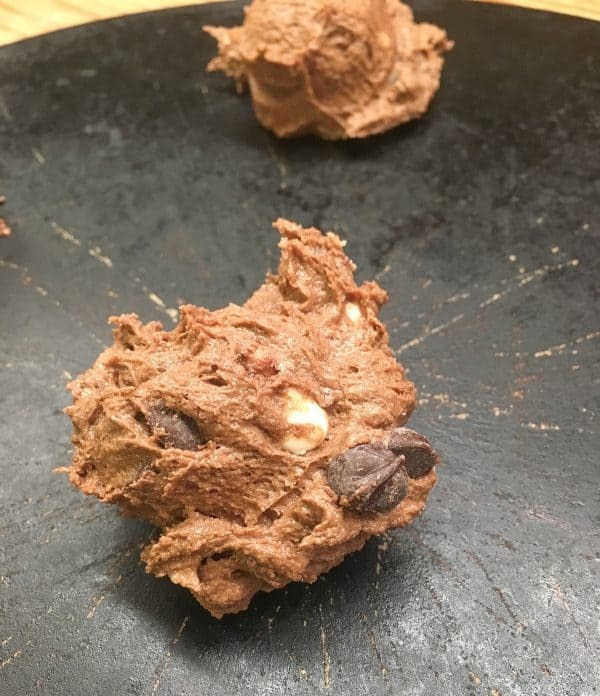 Scoop the dough onto the cookie sheet and bake for 12 minutes. (I use a stoneware pan that I’ve had for years, so it doesn’t need to be greased. But, if you have a metal pan, you will need to grease it before adding the cookies onto the sheet to bake). You can use a cookie scoop for larger cookies, or a spoonful for a smaller cookie. Once I take the cookies out of the oven, I always leave them on the cookie sheet for a few minutes. If you don’t you’ll end up with a blobby mess. I will still eat a blobby chocolate mess (no question there), but they just won’t look as pretty. These cookies tend to spread a bit more, but they are absolutely rich and wonderful to eat. Preheat the oven to 350-degrees and grease a cookie sheet. Add the butter and brown sugar to a medium-sized bowl and mix together. Next, add the egg and vanilla and mix it in. In a separate bowl, add the coca powder, flour, baking soda, and salt. Sift and add to the wet ingredients and mix together. Add the semi-sweet and white chocolate chips and mix well. Add the dough onto a cookie sheet and bake for 12 minutes. Hi Marilyn! Thanks so much! I am excited to head on over to your site!